Some websites have a suspiciously large list of questions which sound like it's what they want you to ask, rather than what you actually want to know. These really are the questions we get asked the most - hopefully yours will be answered here. All answers refer to the UK mainland, except where stated. 1.2.1 What are the opening hours of services? When are they closed? 1.2.2 Will a big sports match or TV event be aired at a certain service area? 1.2.3 How much does it cost to park at a service area? 1.2.5 How can I find out about coach/lorry drivers' discounts? 1.2.6 Can I use a 'back exit'? 1.2.7 Who is responsible for the sliproads (or any other aspect of) a service area? 1.3.1 Why are European motorway services so much better? 1.3.2 Why are motorway services so unpleasant? 1.3.3 Why are services always in such awkward places? 1.4.1 How many services are there? 1.4.2 Which is the newest service area? 1.4.3 Which is the busiest or biggest service area? 1.4.4 Which is the smallest or quietest services? 1.4.5 Which is the oldest service area? 1.4.6 Which is the best/worst service area? 1.4.7 Which service station is the most unique? 1.5 How are the services named? 2.1.1 You're missing a service area!Can you add my business? 2.1.2 Can I use your information in my project? 2.2.1 Do you have any sister sites in other countries? 2.2.2 Why do you insist information given is unique?Why can't I just paste some changes? 2.2.3 Why does the UK take priority over Ireland? 2.2.4 Do the operators visit this site? 2.2.5 Why is there a website about motorway services? 2.3.1 How do I use the website? 2.3.2 How do I update something on the site or add a photo? How do I log in? 2.3.3 Why do I keep being logged out? 2.3.4 Why was I moved between the British (blue) and the Irish (green) versions of the website? 2.3.5 Why was my edit undone? 2.3.6 How do I rate a service area? 2.3.7 Why do none of the maps work? 2.3.8 Why can't I post a review?Why do I need a Facebook account? We've got you covered! Contacting an operator has the options for you. What are the opening hours of services? When are they closed? 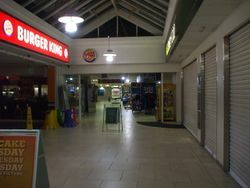 Larger motorway services are open at night, but offer little. All motorway service areas must be open 24 hours a day, 365 days a year, providing parking, fuel, hot drinks and basic food. The smaller services will tell you to go to the petrol station to get a machine-made coffee and a sandwich, while the bigger ones will have a dedicated coffee shop and newsagent open through the night. The individual stores at services are open varying hours, some for longer than others. If you search for the brand name you're looking for, the typical opening hours will be displayed on the right where available. It is always best to check before visiting though. Other services, if signposted from the road, must be open every day except Christmas Day, Boxing Day and New Year's Day. If the signposts say "not 24hrs" or "fuel only 24hrs" then they will be open from at least 8am to 8pm. If there are no signs to the services then their opening hours are completely up to them. In practice, these days most petrol stations near main roads are open 24 hours a day regardless of the minimum requirements. If it's not an official motorway site it's always better to check than to rely on it though. Will a big sports match or TV event be aired at a certain service area? If the event is big enough then the answer is almost always yes, but that's the best answer I can give. As always, for the best response ask the operator. How much does it cost to park at a service area? If this information isn't listed on the site under 'parking prices' on that service area's page, then we don't know. You'll have to ask the operator. This applies particularly for people wishing to park for several days. For all other parking queries, see Parking Help. Where information is available, it is listed on the site. Most motorway services now provide showers as it's actually a legal requirement for new services. If the information isn't available, then I don't know, and you'll need to ask the operator. How can I find out about coach/lorry drivers' discounts? See the page on Professional Drivers. Can I use a 'back exit'? These roads are for authorised traffic only, so you can't, but there will often be very little to stop you. That's a risk for you to make your mind up on. Who is responsible for the sliproads (or any other aspect of) a service area? 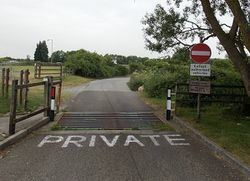 If the service area is directly accessed from the motorway, Highways England (and its equivalents) are responsible until the end of motorway signs, and take responsibility again from the start of motorway signs at the exit. Between them the operator is responsible. If the services are accessed via a junction then this becomes a little blurred but the boundary can usually be identified by signs and a change in road surface. The local authority would be responsible for the roads outside of the services. Although operators control the content of the road signs on the motorway, Highways England maintain them and should be contacted first. To clarify, this means the operator should be contacted if you have a concern with a car park. Why are European motorway services so much better? This question was first asked in the 1960s, and is still asked today, but almost every study into the subject hasn't been convinced that it's true. The much-praised continental service stations are usually dealing with much lower traffic levels, and a different customer attitude, who is willing to pay more and take some time out to enjoy a meal. In Britain since the 2000s, demand has dictated that almost all services have offered fast food - and it is usually by far the most popular offer. The other difference is that most continental restaurants are leased out to family-run firms, whereas in Britain the whole complex (building, toilets, car park, sliproads) is owned by one firm, creating significant financial pressures (some European countries fund those unprofitable items through tax and tolls instead). When you compare like-with-like, the reputation and service has always been similar, even when British service stations were at their worst. UK motorway services were based very loosely on what existed in America, West Germany and Italy. France and Switzerland inspected the 1960s British examples before building their own. Why are motorway services so unpleasant? Historically, British motorway services are an experiment which hasn't gone well. With little experience to go on, they were built too small, too difficult to maintain and were targeted at a high-class customer base which didn't really exist. In addition, they were treated as a rent machine by the government. This all started to change by the 1970s, but by then the operators had already dramatically cut their quality to keep their business afloat. Those pressures no longer really exist, but the reputation has followed service stations around, not helped by a management culture which has sometimes encouraged it. 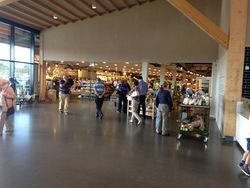 Most people don't want to eat at a motorway service station, even a decent one, which has caused most the restaurants to be replaced by fast food joints. And while those are hardly in the spirit of the original brief for a relaxing atmosphere, it seems to be what people want. Why are services always in such awkward places? There are various factors which go in to deciding where to build a motorway service area, and there was definitely a phase where traffic congestion and the awkwardness of getting in and out weren't given enough prominence. This is detailed in the Offline services page. In terms of the longest delay getting in and out of a service area, as of 2017 Cherwell Valley appears to have lost that title to Birchanger Green and Gordano. In terms of the most awkward, that'll be South Mimms or maybe Sarn Park. How many services are there? As of 2019 there are 96 services open and signed from motorways in Great Britain. That's counting dual-sided services (including Stafford and Sedgemoor) as one, including places classed as rest areas, but excluding truckstops signed with black signs. Northern Ireland has a further 3. We reckon there are 196 more service stations officially signposted from A-roads in Great Britain, but this is harder to measure as the quality of signage is very inconsistent, some of them operate in pairs and not all of them are on major roads. There are 4 more official motorway services in Ireland (Republic Of. ), and 10 more semi-unofficial ones. Which is the newest service area? On the UK mainland, Gloucester southbound on the M5 opened in May 2015. In Northern Ireland, Lisburn opened in 2016. In Ireland, new services continue to open, such as Carlow in 2017. Which is the busiest or biggest service area? The biggest is Cobham on the M25. Information on which is the busiest doesn't generally get released, but it's likely to be Cobham again. In the 1990s, Cherwell Valley and Hilton Park were said to be busiest, but a lot has changed since then. Which is the smallest or quietest services? Again, no-one really knows. Cullompton and Pease Pottage are both pretty small but have been expanded recently. Severn View has the smallest amenity building but large grounds. There are smaller services than that, but not official motorway services. Todhills is very small but is regarded as a "rest area". Old Inns is very small and probably wins, but it feels like it shouldn't count because it's an old A-road petrol station which had a motorway built next to it. Which is the oldest service area? Even that one's not easy. The Original Five tells the story of how Watford Gap and Newport Pagnell on the M1 both opened in phases between 1959 and 1960. In Ireland, it's Lusk, which opened in 2010. Which is the best/worst service area? You can get the current results at MSO:Ratings. Which service station is the most unique? The tower is an M6 landmark. That would have to be either Lancaster on the M6, featuring a very 1960s spaceship-shaped tower, or Tebay, a privately-run service area in the Lake District which is often described as the best service area around. How are the services named? All services are supposed to be named after the nearest village, although often a marketing strategy will take precedence. In the 1990s, suffixes like 'Green' and 'Park' were popular. On this website, we always take the name used on the road signs as gospel. All of the branded facilities will give each of their branches a name, and this is rarely the same as the official services name. Where the road signs don't give an official name, we decide for ourselves by looking at all the branch names, and choosing the most appropriate. You're missing a service area! Can you add my business? Motorway Services Online lists every signposted service station in the UK and Ireland. At least we think we do - there is no other list of them so it relies on our members driving the country looking for them! To be precise, to be included on this website a service station must have what is known in the trade as a Diagram 2313.1 (that's the road sign with symbols on it provided in advance). For Ireland, we look for official signs with the word "services". We do this because these signs are only provided (assuming the highway authorities have been following the rules) after the service station has signed an agreement to provide a minimum level of facilities. This means they are officially endorsed. It also means our readers will know what to look out for. Finally, it makes a sensible rule to prevent our database becoming an unmanageable list of every petrol station in the country! For full disclosure, we've also included a couple of additional sites which don't meet that criteria, but we do receive a lot of queries about. We are not normally receptive to requests from businesses which don't meet that criteria, however if we really are missing something our readers will find useful then please let us know. Can I use your information in my project? For small projects, yes, but if it's going to be published we ask that appropriate credit or a link is provided. For large commercial contacts, please tell us a little more. For questions about photos, see Use Of Our Photos. Do you have any sister sites in other countries? Motorway Services Online covers the UK and Ireland. Learning the rest of the world's motorway network seems a little too much for now! A quick online search shows that there are very few websites about foreign service stations, perhaps it's because they're not as infamous as UK ones. Why do you insist information given is unique? Why can't I just paste some changes? If you've ever spent weeks travelling to London and hours reading old documents, you'll realise it's more than irritating when somebody copies everything you spent days typing up, implicitly takes all the credit for it, and on some occasions goes on to make money out of it. We take a dim view of people who take our contributors' work and don't thank them for it. But we can only take that position if we know the information we hold isn't already available anywhere else. Besides, the vast majority of the time the information we already have is more accurate than what's available elsewhere. Why does the UK take priority over Ireland? 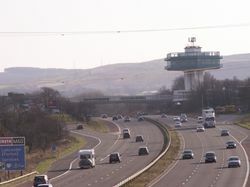 Motorway Services Online uses a single database which is shared by the UK and Irish version of the website, as there are many brands which would otherwise need a page on both. This causes a problem where some pages (including this FAQ page) need to give different answers to different readers. Where this happens, information regarding the UK is usually displayed first, simply because that section of the website has significantly more readers. Do the operators visit this site? Absolutely - over the years we've had correspondence with them over many issues. I believe the phrase they use is "keep your friends close, keep your enemies closer". What they don't do is influence what we write about them, or who we recommend. Why is there a website about motorway services? Like all good things, it was a joke that went too far. I mean why would you run a website about motorway services? After writing about them for a while I became increasingly interested in what I was writing, and a huge website was born. It depends what you're looking for! If you're looking for information on a particular service station, the 'motorways' tab would be a good place to start - there is a link from there for A-roads. The 'information' tab may help you, but it contains a lot more detailed information which is generally only of interest to enthusiasts of the industry. The 'community' tab is for those who are interested in the type of information offered and would like to take part. How do I update something on the site or add a photo? Firstly, if you're not already registered, get on with it! Press 'register' under 'login' at the top (desktop) or bottom (mobile). Afterwards log in. Then go to the page you want to update and press edit in the bottom-right (desktop) or bottom-left (mobile). To upload a photo, log in and visit Special:Upload. Why do I keep being logged out? This is usually caused by a corrupt cookie. The website can occasionally get confused as you browse around, especially if you move between the British (blue) and Irish (green) versions of the website. Open your browser's privacy settings and delete all cookies set by "motorwayservices". Why was I moved between the British (blue) and the Irish (green) versions of the website? Although there are two versions of the website for Britain and for Ireland, the two subjects overlap. As a result they share a database. Sometimes you will be searching for a page on the Irish version and the only result will come from the British version, or vice-versa. If you just browse around the links this shouldn't cause an issue. Generally speaking, as there are fewer Irish services, all the information will be placed on each service area's page. In the UK, there is often so much information to share that more generic pages, such as Services Which Have Been On TV, are used. Why was my edit undone? Whenever you edit a page on this site, you allow others to further edit or remove your work - this is even stated on the edit page. If your edit was completely removed then a reason will be given on the history page (press the 'history' tab on the appropriate page) or on your talk page. How do I rate a service area? All the major services have a ratings box on the right-hand side of their page. At first it will tell you what the current (average) rating is in each category; you can then tap the appropriate star to add your opinion. If you see a red 'x', this means your rating hasn't been processed successfully and it may be worth trying again. If you see a green tick, this means you (or someone with your IP) have already rated (or just rated) that service area on that category. Why do none of the maps work? Our maps are provided by a number of third party sources, and passed through a complicated MediaWiki script. Normally pressing 'refresh' will fix any problems loading it. If that doesn't work, let us know - it might be a problem with your browser but if lots of people are having the same problem we'll have to take a look at it. Why can't I post a review? Why do I need a Facebook account? Not all of our service station or brand pages allow you to write a review, as not all of them generate enough interest. If there is a section there for writing a review, then you should be able to type in the box, then log in to Facebook to post it. The reason we use Facebook is simply that it was either that or asking everyone to register an account with us first, and most people (we know not all) think that would take too long. It's also a good way of checking people mean what they say by asking them to put their name to it. If you use a programme called Facebook Container, or something similar, the comments section will not work. This is because Facebook Container stops any other website from accessing Facebook, which normally is a good thing, but we need to access Facebook as that's where the comments are saved. Unfortunately there is no way around this (unless you are confident playing with the URL), except to assure you that all we do with Facebook is log you in, post your comment, update your news feed only if you ask us to and process any 'likes' you leave. People will be able to open your Facebook profile only if your privacy settings allow this. This is the only feature on the website which requires Facebook.